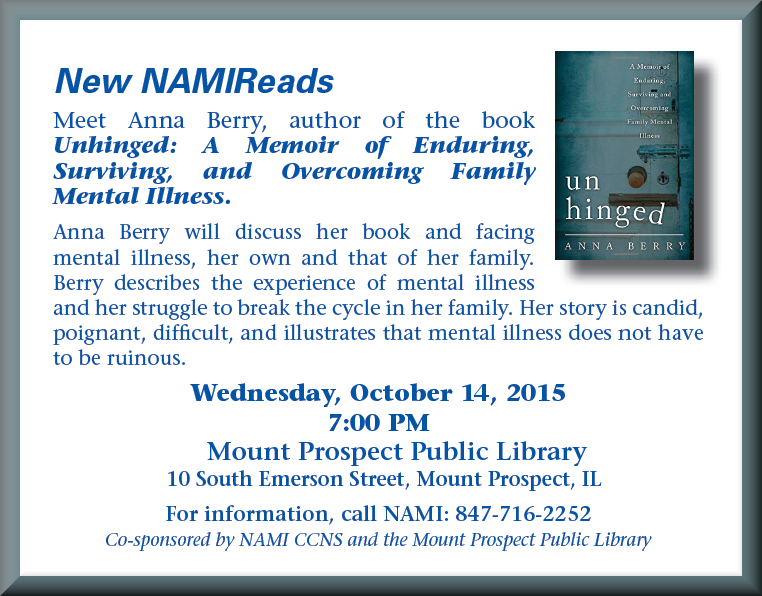 Meet Anna Berry, author of the book Unhinged: A Memoir of Enduring, Surviving, and Overcoming Family Mental Illness. Anna Berry will discuss her book and facing mental illness, her own and that of her family. Berry describes the experience of mental illness and her struggle to break the cycle in her family. Her story is candid, poignant, difficult, and illustrates that mental illness does not have to be ruinous.